Another SEGA classic makes it way on the iPhone and iPad. 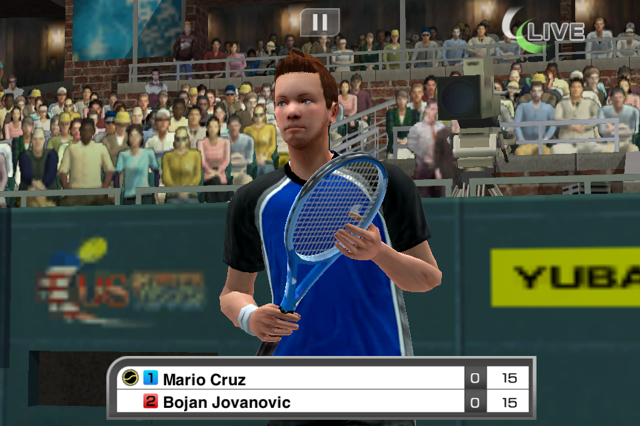 Does Virtua Tennis Challenge deliver the court experience straight to your mobile device? I've been a lifelong SEGA fan since playing Out Run in the arcades, during the late 1980s. It's great to see that even today, their games still have their reach with me, even in the mobile gaming platform. 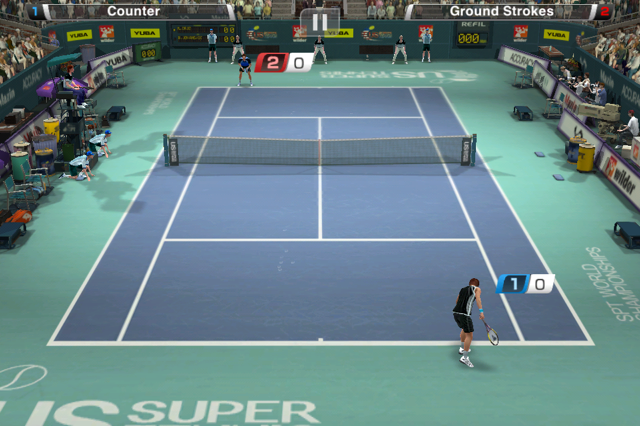 SEGA's latest offering for iOS gamers, Virtua Tennis, is just plain fun and will keep you hooked for hours on end. It's a fantastic tennis game that brings the feel and look of an actual match straight to your iPhone or iPad! Virtua Tennis offers a simplfied menu system. You won't get too bogged down choosing too many options. The screen choices take you straight to the action. The background sounds and effects during the game immerse you in the action. The racket effects and crowd noises are a great touch! The menu sounds were a bit on the annoying side though. I didn't experience any slowdowns with the lush graphics on my iPhone 4S. You only get a handful of players to start with and for my experience, I couldn't choose a female player. Choose to play in either a SPT World Tour - pitting you against several players across the globe, Exhibition Match, Multiplayer - through Apple's own GameCenter and Training environments. You can choose with onscreen arcade controls or a simple tap/touch method to control your player's actions. I prefer using the latter as it offers the easiest way to play in a fast-paced game such as this. I did end up getting a lot of faults when serving so take note when it comes to your player's position and strength of serving. 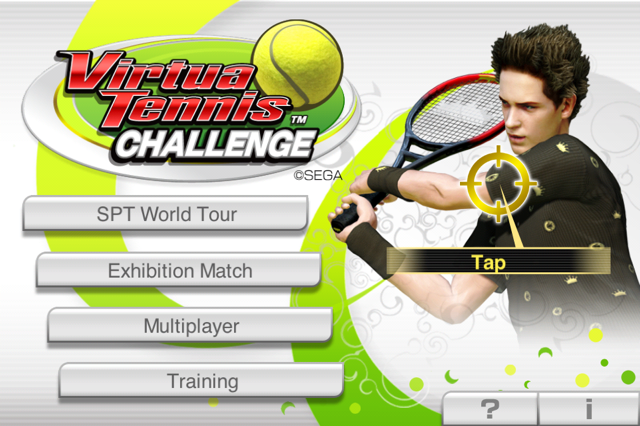 Overall, SEGA's Virtua Tennis is another contender for any iOS gamer's library of sports games. Users will appreciate the tips presented right before the start of any game. Furthermore, the simple game controls, smooth visuals and other effects make Virtua Tennis a near perfect match for your gaming pleasures. It's sure to inspire anyone to pick up a racket and play.